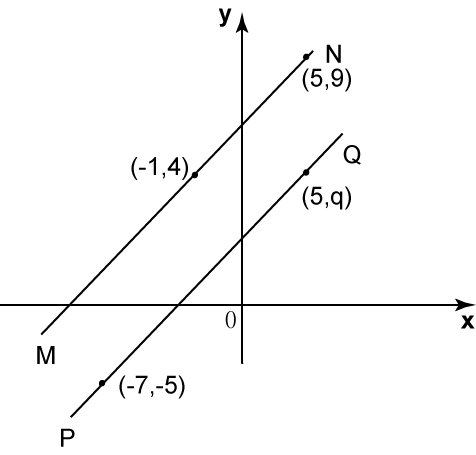 The straight lines MN and PQ in the diagram above are parallel. Find the value of q. If two lines are parallel, their gradients are equal.